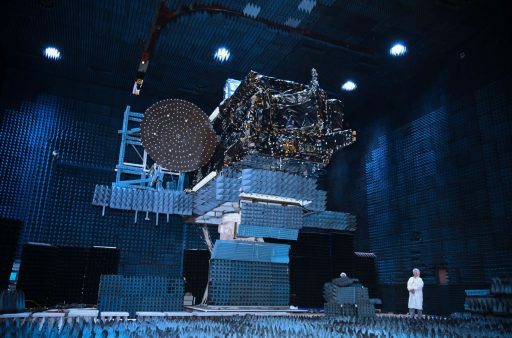 EchoStar 21, formerly known as TerreStar 2, is a communications satellite under commercial operation by the EchoStar Corporation, hosting an S-Band payload operating in the previously unavailable 2GHz band to deliver mobile connectivity throughout Europe. 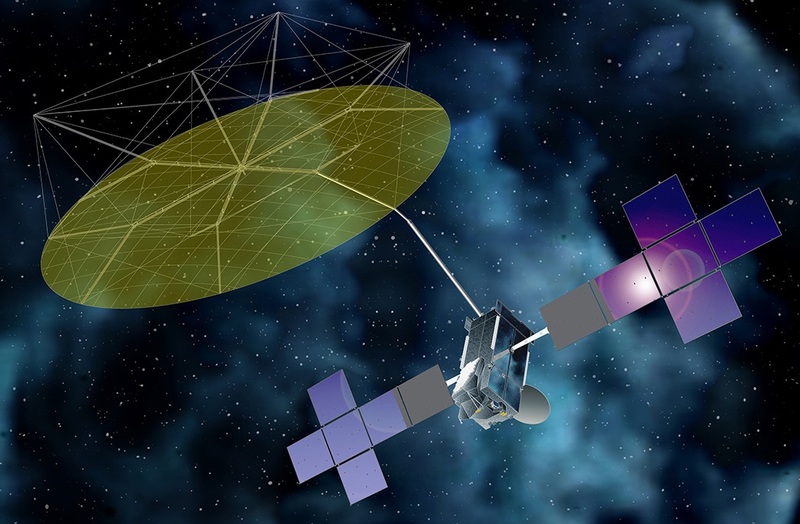 The TerreStar project was formally initiated in 2005 when TerreStar Networks, Inc. finished final design reviews for the TerreStar-1 geostationary satellite to build the Space Segment for a new Mobile Satellite Services (MSS) program coupled with an Ancillary Terrestrial Component (ATC) to serve the mobile communications market. Use of the 2GHz band for commercial communications was approved by the Federal Communications Commission in 2005 for select satellite operators. The use of the 2GHz frequency band allows MSS operators to deliver advanced mobile communications services for voice and data connectivity which can be further enhanced by ATC technology which allows for coverage in areas where a direct line of sight to the satellite may not be possible, e.g. mountainous regions, canyons and dense forests. TerreStar supports voice and data communications, monitoring and messaging services, leveraging the ETSI GMR-1 3G air interface standard. The TerreStar-1 satellite was launched in 2009 by an Ariane 5 rocket and took up station over the Americas to deliver coverage cross the continental U.S. and the American territories. Dish Network Corporation (EchoStar) acquired substantially all of TerreStar Network’s assets in March 2012 – re-naming the first satellite EchoStar T1 and the second, which was ordered in 2006, EchoStar 21. EchoStar 21 has a launch mass of 6,871 Kilograms and is based on Space System/Loral’s SSL-1300 satellite platform in a version with an optimized structure to hold a large deployable antenna reflector. The large unfurlable reflector and the powerful MSS payload can generate hundreds of communications spot beams to cover a large area of the Earth. EchoStar subsidiary EchoStar Mobile Limited holds a license from the European Union to establish an integrated mobile satellite service network with complementary ground architecture. A portion of the satellite’s capacity will be used for EchoStar Mobile’s next generation, all-IP enabled communications network. 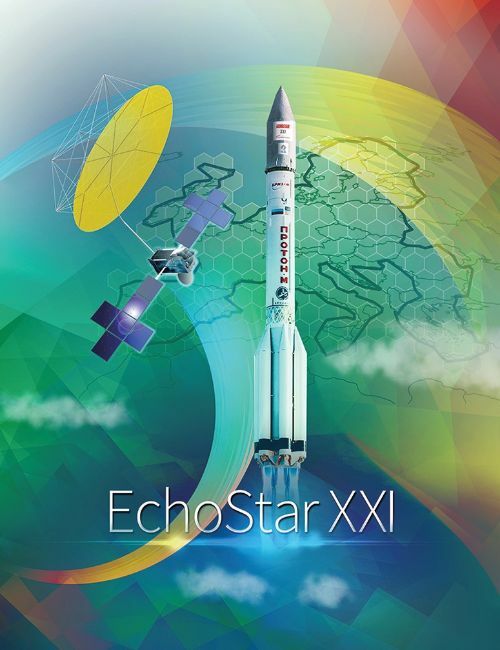 EchoStar 21 will operate from 10.25 degrees East in Geostationary Orbit with a design life of at least 15 years. 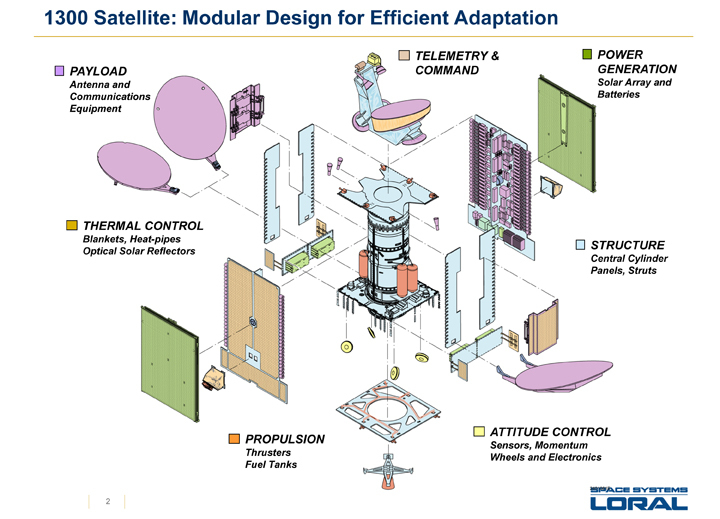 LS-1300 is a flexible satellite platform that can be flown in different configurations to accommodate different communication payloads with a total power of 5 to 18kW. Using different configurations, LS-1300 satellites can weigh from 2,200 up to 6,700 Kilograms featuring payloads of 12 to 150 transponders. Through optimizations, the number of transponders that can be accommodated can be increased even further. LS-1300 was introduced in the late 1980s, but undergoes constant modifications going through a number of revisions over the years. EchoStar 21 uses the high-power variant of LS-1300, featuring two three-panel solar arrays that deliver over 15kW power to a dedicated system that conditions the satellite’s power bus and controls the state of charge of the vehicle’s batteries. Three-axis stabilization and navigation is accomplished by state of the art navigation sensors and reaction wheels. The satellite is equipped with a chemical propulsion system for orbit-raising and stationkeeping using a main apogee engine and a series of attitude control thrusters. 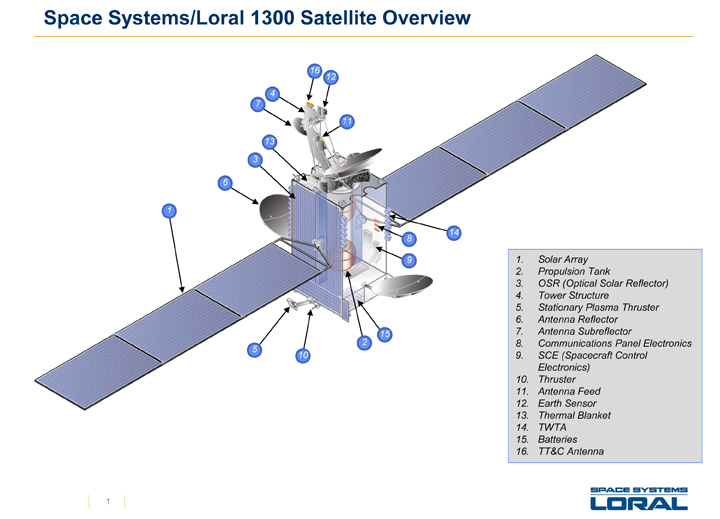 LS-1300 also provides the option of an additional electric propulsion system, whether this option is exercised for EchoStar 21 is not known. The spacecraft is expected to operate for at least 15 years.